Hossein Tanhaee referred to a 70-percent decline in Iran-South Korea trade after the US sanctions, saying that large companies in the country, mainly in the automotive, petrochemicals and home appliances sectors were forced to cut their trade ties with Iran. The trade volume of some large South Korean companies with the United States is as high as 25 percent of their trade with other countries of the world, while their trade ties with Iran account for only one percent of their trade volume, he told Tasnim. This means their trade volume with the US is 25 times more than their trade with Iran, Tanhaee went on to say. On the other hand, there were major problems for two large Korean banks to keep doing transactions with the Islamic Republic. Meanwhile, large shipping companies were not willing to work with Iran, and shipping insurance for Iran is also subject to sanctions, he added. He underscored that following the decline in Iran-South Korea economic relations, all these problems led to bankruptcy of many of the so-called SMEs. 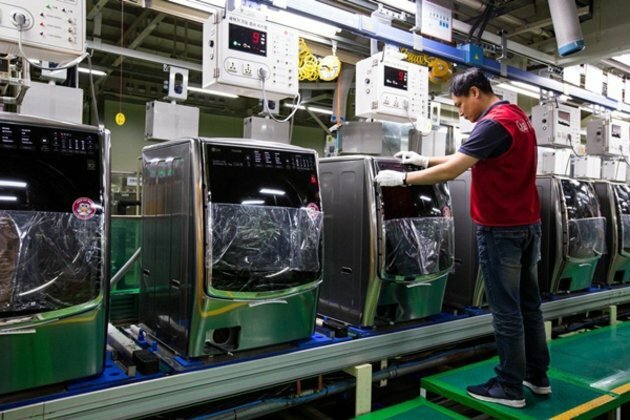 According to this Iranian official, between 20% and 25% of the decline in bilateral trade is in home appliance exports by two major Korean home appliance companies.